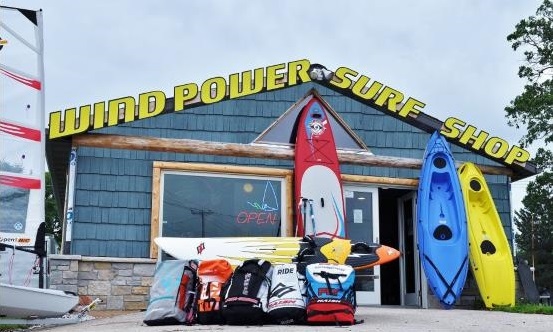 The Weather Center is owned and operated by Wind Power Surf Shop in Fond du Lac, WI. Wind Power has been involved in teaching and promoting wind powered sports for over 25 years. The Weather Center provides up to the minute observations and graphs for Current Conditions and Historical Summary data. 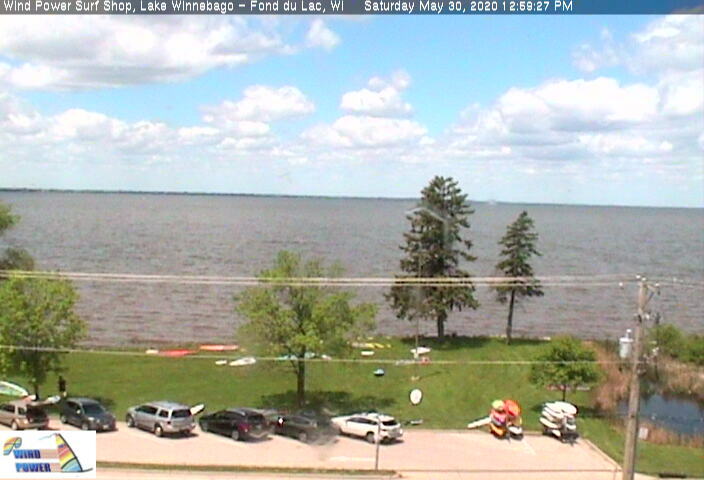 Sailing Conditions Assessments, Launch Recommendations and a Weather Summary are made based on current observations. The anemometer is mounted high above the shop on a sailboat mast. The temperature sensor is located closer to ground level just outside the shop. Learn more about the sensor. If you wish to support the Weather Center, you can make a donation using the Wind Power online shop. We thank you for your contribution. The Donations are in $ 5.00 (USD) increments, please adjust quantity to match your desired donation. Andy Gratton: the A-Scow mast mounted on the Shop with the wind meter at the top (view). Jeff Kreuziger Farms: The use of the Sky Trak to place the mast atop of the Shop (view). The Wind Power Weather Center is dedicated to Stellablue who loved the water and wind.